One-of-a-kind opportunity to immerse yourself in seclusion steps from Beaver Lake! 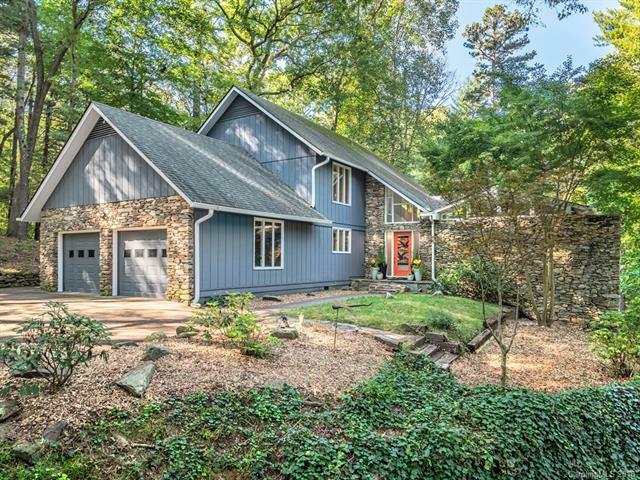 This updated & spacious Lakeview Park home provides privacy and wooded bliss on a 3.71 acre lot that boasts mature trees, a bold creek and a fire pit a few short minutes from some of North Asheville's best shopping, dining, and coffee shops and only 5 minutes from world-famous downtown Asheville! Hop on the trail system that leads to the UNCA observatory for some stargazing, head downtown for a live show & dinner prepared by a James Beard nominated chef, or just stay home and roast marsh-mellows by the fire pit and surround yourself with nature.